I finally have a new website!! And I need to use a lot of exclamation points about it!…because it’s been a while in the making. And it feels so good to finally post about it today. Websites, pattern making, book writing….all good things take longer than you think they’re going to take, to bring to pass. So let me show you around. 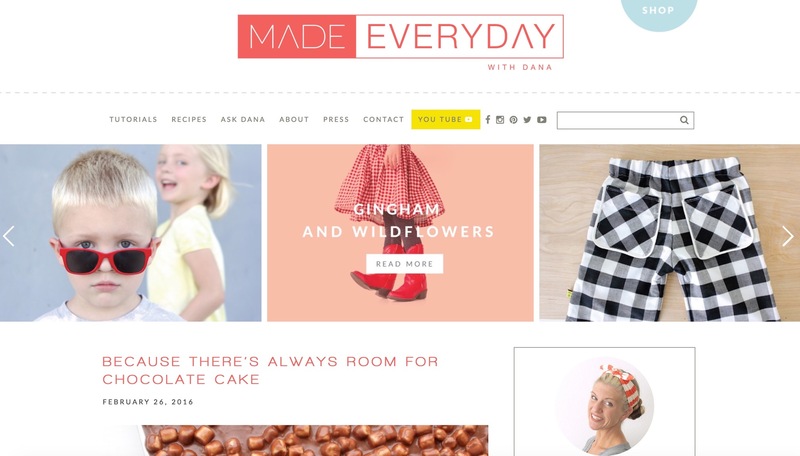 The website is now called MADE Everyday. And it was designed by the ladies at October Ink, whom I love. They did such a fantastic/cool job. There are all sorts of new features on the site. I love the top sliders, sharing some of my favorite posts. Just hit the arrows to scroll through, and hover over to read more. The tutorials page underwent a big makeover (and is still a work in progress). But I love how clean and organized it is. Just click on a category for specifics, or just stay on ALL! Check out all the other tabs on the navigation bar at the top. Sign up for our newsletter in the right-hand column! Or sign-up for email subscription. And then click the blue button that takes you to the SHOP (which turns green to take you back to the BLOG). This is one of my favorite parts of the whole makeover. I finally have a legitimate shop!….not sure why that took me so long. I haven’t added any new items yet, but I will be in the next month since I’m working on a kids’ sweatshirt pattern right now! I also plan to have some printable artwork in the coming months as well. More shop news: You can pay with CREDIT CARDS now…not just Paypal. I’ll let you check out the rest. Come click around and stay for a bit! I’ve got chocolate marshmallow cake and video projects just waiting for you…..
Ooooo, am I the first comment??!! Yay! 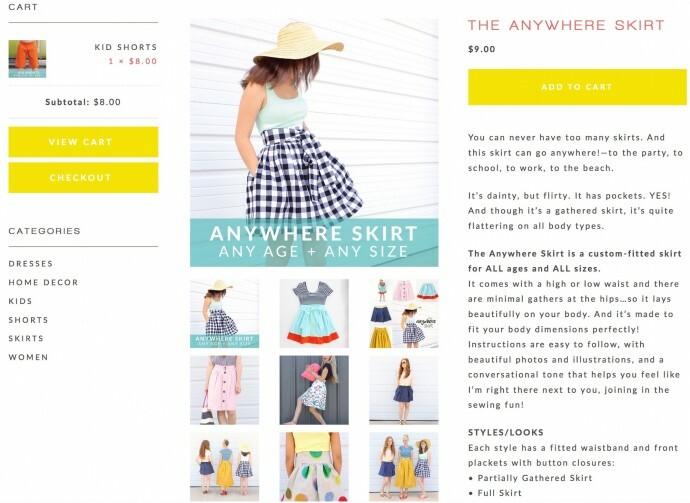 Love the new site, I’ve been following your blog for quite a few years now, in fact it’s your kid pants and (multiple) skirt tutorials that got me in to sewing for my kids…and now I’m about to embark on making it a business (also inspired by you and some other lovely ladies in the blogosphere!). I’m really looking forward to seeing your new pattern ???? And thank you for the sweet comment. Good luck on your new business! LOVE THE NEW WEBSITE, CAN’T WAIT FOR THE NEW SWEATSHIRT !! Dana! This is incredible! Thanks for the excellence you always deliver. Beautiful new website! Very stream-lined, functional, and attractive! Yay, Dana! I love your blog and youtube videos — I check back often for new content. Keep up the good work! It’s AMAZING Dana! Love the new organization of everything. Glad you have been able to check off another project off your list. Leave it to you to take something already great and make it superb. It looks so good – congrats! Looks so good! I love how clean and organized it is, how exciting! Congrats! Thank you, Thank you Melanie! you know what? I’m going to use all of those exclamations marks you left behind….!!!!!!!!!!!! it’s awesome, even from here (…italy…)!!!! You did a great job both with the design and the knicknacks of joining the websites together. BRAVA!!! Now I have to go: there’s a bunch oflined zippered pouches waiting for me… 😉 do you have any video to suggest? Keep it up, Lady! Congratulations on your new site! Looks beautiful!! What an excited month for you!! Look forward to see you in May! Dana- awesome!! Thanks for all u do- regardless of address I will find u 😉 I love your inspirations! Best wishes in ALL u do! Love it Dana! Cant wait for some ace patterns and I love the thought of printable artwork. Yay! 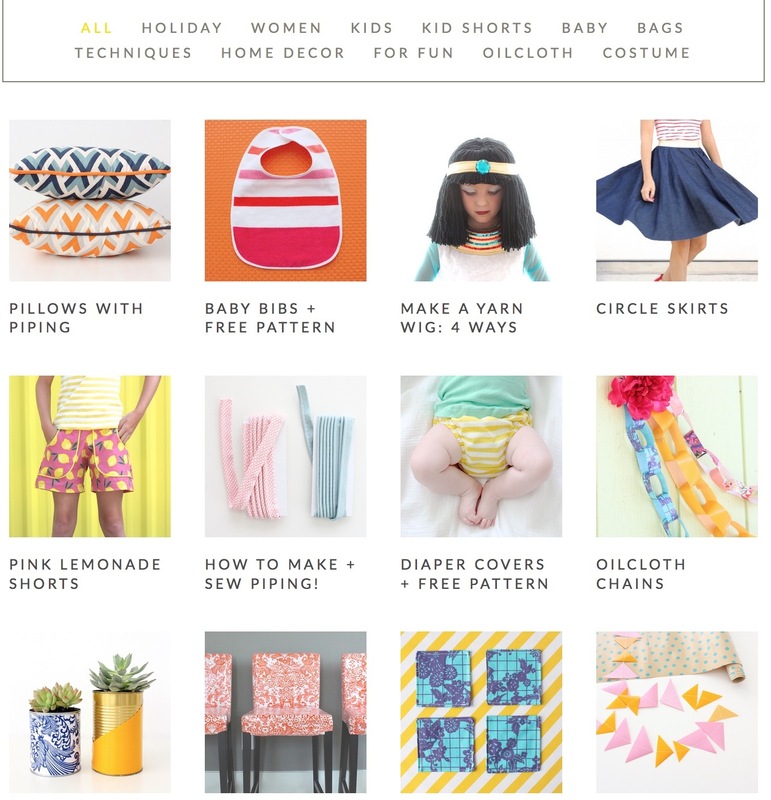 What an awesome website/blog/store/ all wrapped into one! I love the combining of MADE and MADE EVERYDAY. Thanks for all your hard work to make it easier for us to find you any time, anywhere! Good luck with your sweatshirt pattern! Love it!! My favorite part is the color combinations haha. Your doing so awesome. Congratulations!! Congratulations, Dana! It’s BEAUTIFUL! And simply fantastic! And, thank you for all you do for us, perfect strangers! Congratulatuions, Dana ???? I love your work and your patterns. A big fan in did!!! Woohoo, congrats! It looks awesome. Exciting times ahead! Been a fan of your site for years and years. Love the new design! Never purchased the patterns because I didn’t want to use PayPal. Now I can finally buy the first day dress and shorts patterns I have been salivating over for some time. Yippee! It looks really great! And of course you should use lots of exclamations marks – these things take a huge amount of work!!! Seriously though, I’m pleased for you and it’s great news for sewers too. I’ve tried some of your patterns for my little boy and they’ve always come up trumps, so I look forward to seeing more on this shiny new space.